with our cutting-edge clinic management system. NexySoft is the #1 chiropractic clinic management system. NexySoft is a chiropractic software designed by chiropractors. It is designed to help you improve the efficiency of your business while reaching out to a wide community of clients. From low volume home clinics to high volume paperless clinics, NexySoft is the most user friendly software with all the features you need to improve the efficiency of your clinic. The professional edition includes paperless notes, soap notes and digital patient file for a paperless clinic or office. See how NexySoft could work for you. Find the perfect system for your clinic. Cloud version OR local hosting. Chiropractors are talking about NexySoft. See what your colleagues have to say. Our clients are talking about us! Visit the Testimonials page to see video reviews from some of our chiropractor clients. The NexySoft experience is a good one for virtually all of our clients, and our support team is one of the best in the business. Please take a minute to see what people say about our software package and service. Schedule a free demo today. 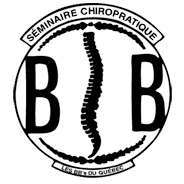 The Best Chiropractic Software – A matter of perspective. The best clinic management system for your clinic is the one that works best for you and your patients. NexySoft is designed to support best-practice care and business processes. NexySoft clinics will work smoothly at a high level of efficiency, but our package may not be the perfect fit in all situations. For example, we encourage a “paperless” system, so if your team prefers to print documents and to manually manage schedules offline there will be some process changes as part of your clinic system implementation. We can help with the transition. Chiropractors choose NexySoft in order to simplify operations and free up resources for patient care. Doctors and staff working in a practice managed by our software report that they spend less time managing paperwork and billing and more time face to face with clients. This is what drives us here at NexySoft. We believe that what we do enables you to deliver a higher standard of care. Contact us for a quick demonstration of how our system works and see how it might simplify your practice. Our team is always happy to speak with you to see how we might be able to help. The Integrated Practice Approach – Optimize the whole. If you are working with multiple different tools for EHR, billing, and scheduling then you know the benefits you would get from an integrated clinic management system. With NexySoft the same interface works for SOAP notes, client charts, invoicing, scheduling, etc and you benefit from a common database for all your patient and business information. Compliance with meaningul use is standard, and with a robust software like NexySoft you will find it simple to comply with tax codes and insurance requirements. You will have the choice of keeping you patient data in your clinic, or using our cloud version. NexySoft is different from other clinic management packages.